Halong is the leading tourist destination in Vietnam. Almost everyone wants to have the opportunity to come here even once. If you have the opportunity to travel Halong by train, bus or motorbike, this time, you try to travel Halong by own car. This is definitely the journey for visitor’s new experiences. Halong Bay - one of the 7 new natural wonders of the world. UNESCO has also repeatedly recognized Halong Bay as a World Natural Heritage Site. Talking about the beauty of Ha Long, it is difficult to write any pen. Even cultural celebrity Nguyen Trai also praised the Ha Long Land is a wonder in the sky. From above look down, Ha Long as a giant picture is grafted from nearly 2,000 islands, combined with cloud clouds, sea island. All harmony creates a vivid picture, wonderful. Travelers who have never been to Ha Long Bay are also fascinated by books, movies, the Internet or through photos taken by friends. And visitors who have the opportunity to set foot will certainly not forget the beautiful bay. If you have the opportunity to visit the North to try to explore Ha Long bay . Origin Vietnam Travel is confident, Halong will leave visitors impressed and memorable memories. In the past, it took 3-4 hours to travel from Ha Noi to Ha Long. Now, there is a new route, only about 1h30 minutes. The popular route: Hanoi - Bac Ninh - Pha Lai - Chi Linh - Dong Trieu - Uong Bi - Ha Long. This section is about 170 km long. Transportation by car will take about 3 - 4 hours. Since the Ha Long - Haiphong expressway, you move faster and more convenient. Shorter journeys, saving you time and money. In addition, visitors will have more time to enjoy, experience the city on the brink of heritage. For a safe and convenient trip, Origin Vietnam Travel will suggest some of the Ha Long travel experiences in the car below. Today, travel has become easier thanks to the map applications on personal devices. Prior to each trip, you should find out the route through these devices. And, if you should let the device in front of the car to easily see the next move. After you know the route, you plan to determine the time and place of departure accordingly. If you are traveling in a group, you should find a qualified guide who understands "stepping stones" here. In addition to understand the route clearly, you also have to carefully check the parts in the car. Check the entire vehicle from tires, brakes, lights, rearview mirrors and so on. If any part is damaged, it must be replaced immediately. Also, remember to bring some repair tools, avoid the case of damage in the middle of the road. Please fill up the gas tank before leaving and do not forget to fill up with the gasoline along the road. In many cases, visitors forget to pour gasoline and have trouble running out of gasoline in the desert, no gas station or home. Water is a necessity in daily life and every trip is indispensable. You should have prepared a small water tank on the car, avoid the need to stop in the middle of the road to buy water. In addition to water, you should prepare more cold towels, plastic bags, trash ... and do not forget to bring some snacks. Prepare some simple foods such as bread, sausage, cottage cheese, rice rolls, biscuits, fruit, vegetables ... to eat in the car. If you are traveling in a family group, you should bring your canvas, fruit knife, plastic cup, cup, spoon ... for convenience. For money: you should prepare some cash, the rest should be kept on the ATM card. Bringing less cash helps you get the right amount of funding. In addition, if lost, at least still have money in the card. Personal papers: The required documents for each trip are driver's license, identity card, other necessary vehicle documents ... You should keep money and papers in a separate wallet, avoid losing the case. Before departure, you should check if the medical cart is in the car. This is an indispensable item in every trip self-sufficiency. 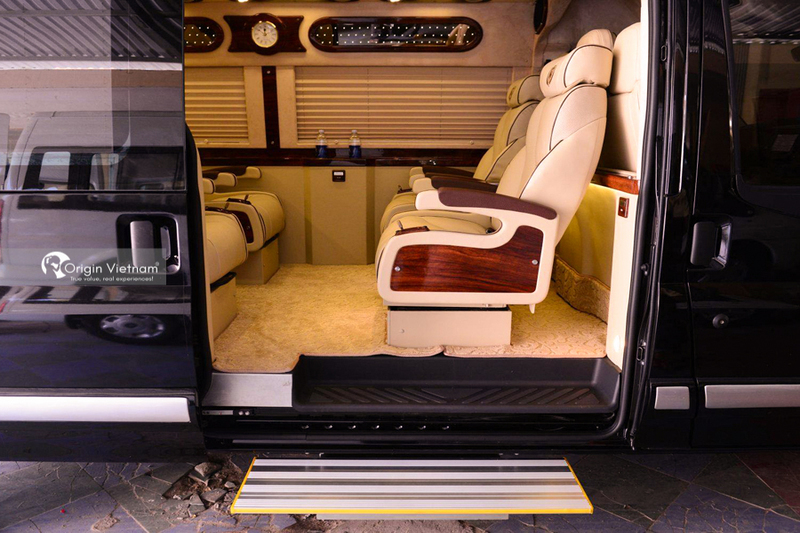 Bring the necessary medications such as abdominal pain medication, motion sickness, allergies, indigestion, insect bites. In addition, you should prepare gauze bandages, old oxygen, wound cleaning water, topical skin ... If any medicine expires, you must change immediately and always. Ha Long is beautiful and charming under all angles. Many people like Ha Long as "fairyland", where the land - water corresponds to form a complete whole. 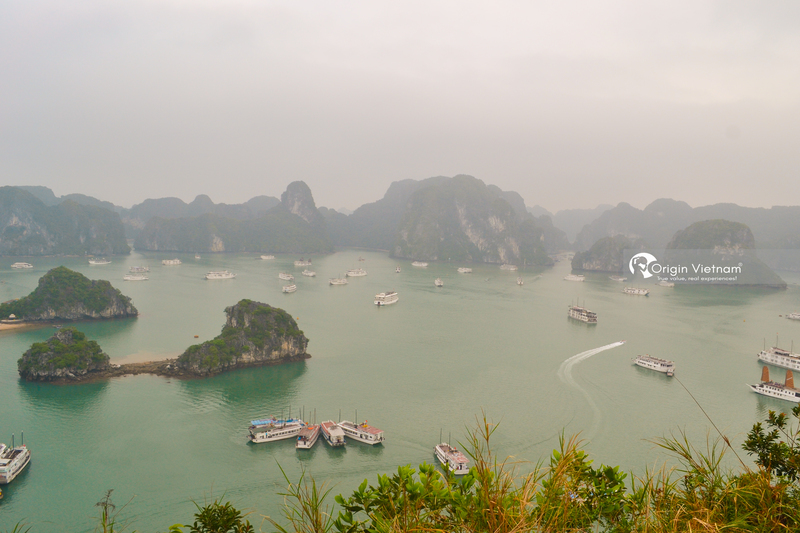 Travel Ha Long and see Ha Long from above, visitors will see a very lively marine painting. Take a boat and walk around the bay, visitors will encounter the island not only unique in shape but also names such as Ga Choi Islet, Turtle Island, Hon Lu Huong, Hon Ong island. All these masterpieces are created by one hand. 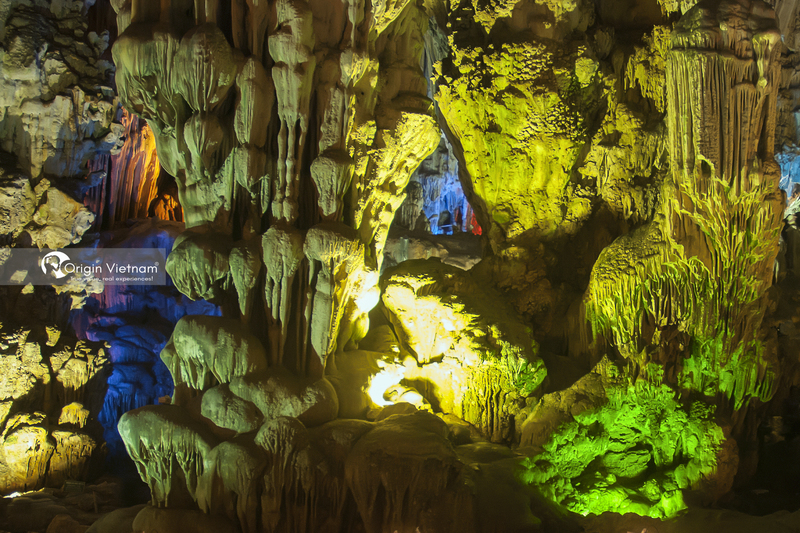 In addition to rocky islands sparkling water, visitors also discover many mysterious caves, beautiful as Thien Cung cave, Sung Sot cave, Trinh Nu cave, Luon cave, Tam Cung cave. If you have more time to stay in Halong, do not miss the chance to visit Bai Chay, Cua Van fishing village, Tuan Chau Island, Quang Ninh Museum, Dragon Park, Sun Cycle, Bai Chay Bridge. There are many other attractions are waiting for you in Ha Long. If you have a chance, please come to Ha Long once. Please refer to the Ha Long Tour of Origin Vietnam Travel. Ha Long never charmed tourists, because of the heroic scene created by the gift. Hope that article: " Travel Halong by own car " on this useful for all customers and visitors. By this, Origin Vietnam Travel would like to wish you a safe and happy trip with your relatives and friends.